THE GOVERNMENT IS to host a symposium on the Irish gender pay gap next week in Dublin. Senior policymakers, business representatives, trade unions and academics will be at the event to discuss the gender equality agenda of the government. EU figures show that in Ireland, women currently earn around 13.9% less than men – better than the equivalent gap in the UK, where the difference is 19.5%. Put another way, that figure equates to women in full time employment working for free in Ireland for about one month of every year. Gender pay gap issues hit the headlines in the last year when it was revealed that a number of well-known companies and industries were not paying women the same as their male counterparts. RTÉ News presenter Sharon Ní Bheoláin revealed that she was earning €60,000-€80,000 less than her co-anchor Bryan Dobson. A review of “role and gender equality” was carried out across the organisation following the criticism of its salary structure. Next week’s Dublin event also comes just a week after Iceland made it illegal for men to be paid more than women. Under the legislation, companies and government agencies with more than 25 employees will be required to obtain government certification for their equal pay policies. Those failing to demonstrate pay equality will face fines. While there have been no proposals for such laws in Ireland, the idea that companies will have to publish their employees’ pay has been floated. A public consultation on the measures needed to address the gender pay gap was launched in August. Ministers Charlie Flanagan, Heather Humphreys and David Stanton said the gathering of business people and policy makers will be an opportune time to discuss the submissions received. The symposium will hear from a wide range of guests such as Orla O’Connor, Director of the National Women’s Council of Ireland, Emily Logan, Chief Commissioner of the Irish Human Rights and Equality Commission, and Senator Ivana Bacik. Flanagan said 2018 is a very significant year for Irish women, marking a centenary since women achieved voting rights in Ireland. He said the anniversary will provide significant momentum to implement the gender equality measures set out in the Programme for Government as well as the targets under the new National Strategy for Women and Girls 2017-2020. The strategy highlights almost 140 actions across government departments aimed at creating equality. 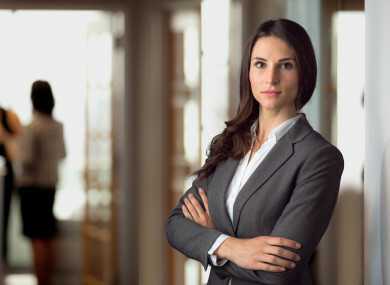 Commitments include commissioning an independent review of the situation of women in the governance and senior management of companies in Ireland and of measures to promote and to increase women’s representation. Work is ongoing to advance this commitment and Minister Flanagan and Minister of State David Stanton hope to be in a position to make an announcement about the independent review shortly. Humphreys said it is very important that we have a well-informed debate and devise practical policy solutions, while Stanton said putting a system of wage surveys in place will help government to identify where there are particular problems and where further action is needed. Email “Government to discuss tackling Ireland's gender pay gap with businesses and trade unions”. Feedback on “Government to discuss tackling Ireland's gender pay gap with businesses and trade unions”.